In Nashville, Nancy is active in Poetry Salon, Poetry Unbound, and serves as an editor for Rockvale Review, an online poetry journal. She shared the Poet Laureate honor with her friend Jane Shlensky on Poets Asides in 2015. Her first chapbook Let the Lady Speak (Highland Creek Books) won the Poetic Asides November Chapbook Challenge in 2009. Her poetry and poetry reviews have been featured in a number of publications, including Oxford Poetry, Rivers Within Them, and Poetry South Journal. She was an organizer of the Fall Face-to-Face in the Foothills Poetry Festival at Hickory Museum of Art, September 2015. An avid lifelong reader and member of two book clubs, Nancy blogs about the books she reads at Discriminating Reader. Her book reviews have appeared in English Journal, The Charlotte Observer, Raleigh News and Observer, Y’all Magazine and more. She volunteers at the Southern Festival of Books each October in Nashville. Currently an adjunct at Lipscomb University, Nancy has taught English at the secondary, community college, and university levels since 1990. She also taught childbirth education for eighteen years, a class for which the “final exam” produced immediate results. A strong believer in legitimate, practical professional development and lifelong learning, she is available for staff development, writing workshops, and women’s events. She also works with students on the college admissions and scholarship application process. 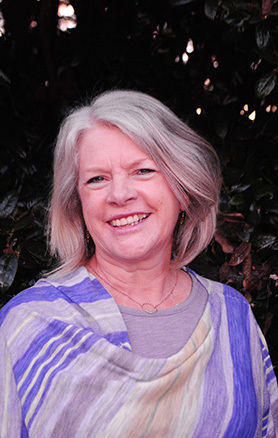 Nancy has exhibited art works at Caldwell Arts Council (Concertina exhibit), Hickory Museum of Art (Printmaking), and had her first solo show “Thousand Words: Images and Recollections” at Bethlehem [NC] Branch Library; Organizer of The 2015 Fall Face-to-Face in the Foothills Poetry Festival. She has enjoyed continuing printmaking in Nashville. Nancy has always loved music and continues to build on her skills, writing songs, playing mandolin, and singing. One of her favorite endeavors is Louisa Branscomb’s Woodsong Songwriting Retreat in North Georgia. Nancy also participates each year in the Swannanoa Gathering Old-Time Music and Dance Week at Warren Wilson College and volunteers at MerleFest in Wilkesboro, NC, in the spring, and Franklin’s Pilgrimage Fest in the fall. In Nashville, she finds unlimited opportunities to enjoy live music. An empty nester, she is married to Richard Posey, and they have three grown children, three grandchildren, and three granddogs.